These stylish personalized bold stripe tumblers make sipping on your favorite drinks look chic! 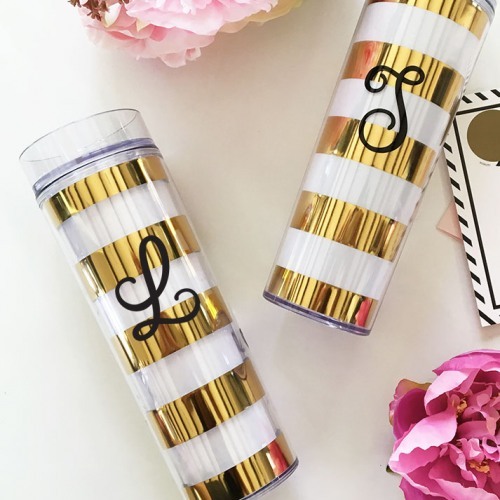 Each acrylic tumbler features a striped gold and white design and is adorned with her monogram in black script. They're practical, gorgeous by design, and will definitely be her new favorite cup!